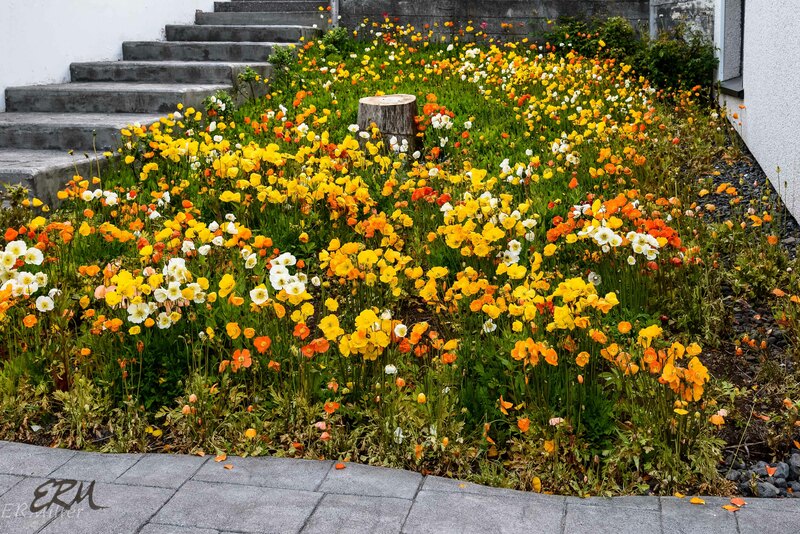 If you’re a gardener or flower enthusiast of any sort, you’re probably familiar with Icelandic poppies, popular in the florist trade. These are not Icelandic poppies. They’re arctic poppies. Because the two common names seem to be tossed around with abandon, I’m going to stick with the Latin here. P. radicatum has four subspecies (according to the Integrated Taxonomic Information System), which may explain why I found conflicting data from various sources. Some claim the species is endemic to Iceland. Others claim it’s endemic to Norway and Sweden. And still others say its native range includes Iceland, Jan Mayen, and North America (Greenland, Canada and the US). Probably what’s going on here is each of the subspecies is endemic or native to a particular area. I can’t say which subspecies this is, but for sure it’s P. radicatum: the hairy leaves and stem are the signs. 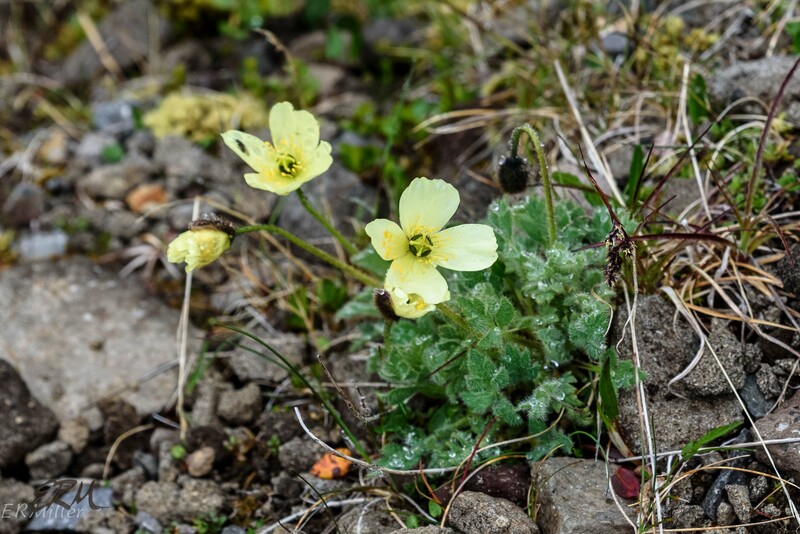 This species is found in the western and eastern regions of Iceland, with a few scattered occurrences elsewhere. I saw it in the Westfjords near the waterfall Dynjandi, and in the Snæfellsnes penninsula. In the US it can be found in a few counties in the Rocky Mountain states (and in Alaska). As for the so-called Icelandic poppy of the florist trade, that’s P. nudicaule (or P. croceum in some older sources). It’s hairless – nudicaule means “naked stem”. This species is not native to Iceland, but rather to North America. Sources disagree on its range, though. BONAP shows it as a native in part of eastern Canada only, while USDA shows it as a native in Alaska, Utah, Colorado, and Virginia, and introduced in parts of western Canada. They grow there in gardens. This entry was posted in Uncategorized and tagged Iceland, Papaver, Papaveraceae, poppy, Snæfellsnes, Westfjords by elizabeth. Bookmark the permalink. The only Icelandic poppies I know do have hairy stems, and Wikipedia describes them so https://en.wikipedia.org/wiki/Papaver_croceum — so I am curious now about the ones you mention with naked stems, and will be looking more carefully around the nurseries. I didn’t know about the alpine poppy, not having explored either of its natural habitats. Thank you for showing one!